(W/A/CA) Dave Chisholm Tom is a solid, but not great, musician.Tom aches for the next level, whatever that is. 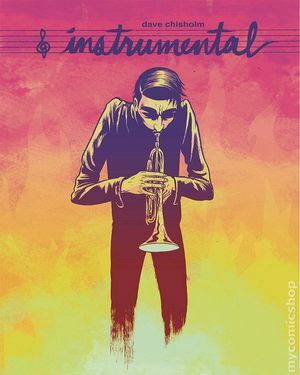 And as musicians are wont to do in magical fables, he meets a mysterious stranger with a seemingly simple offer: take a battered old trumpet for free, and just enjoy it,whenever Tom plays it, the extraordinary music blows away his growing throngs of fans, and deadly mishaps start to follow. Tom may not have sold his soul for the music of the heavens, but he seems to have bargained away something much more serious. Cover price $24.99.